Selecting hairstyle that perfectly fit your face is a task that every lady will face until getting the right kind of style that matches their faces. You will need to consider the event, occasion, management, and how fitted is the hairdo to your face and again the feature of your face will be put into consideration. 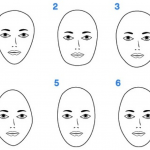 This is the reason why selecting the perfect hairstyle for your face is very important. In this post, you’re going to learn what type of hairstyle will fit your diamond face shape and which hairstyle you should not try at all considering your face shape. In the previous post, we wrote on how to determine your face shape and also we know that hair and beauty go hand in hand because both of them brings out your beauty, it’s essential here for you to get to know the best hairstyle for diamond face shape and choose the appropriate one for your outward beauty. 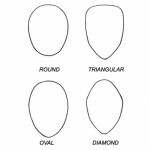 What is diamond face shape? 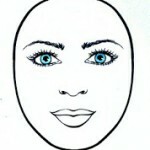 This is the type of face shape that is characterized by a narrow forehead and jawline with wider cheekbones. Sometimes, the narrowness of forehead and jawline almost absent in some cases. The hairstyle for this face shape should be selected in such a way to balance the narrowness of your chin, and reduce the cheekbones wideness; this is to ensure that the overall face length is shortened. Hairstyle that can work wonders for a diamond shaped face is slide party. Slide party softens the face by softening all harsh angles and edges. It gives the face a more rounded soft shape. Pair this with a nice updo and you will have that soft touch you desired. Most people with diamond face shape love bangs because it covers up the forehead and this is why block bangs look great with diamond shaped faces. They cover the entire forehead there by shortening the length of the face. Bangs draws attention away from your pointed chin and gives you soft and stylish result that will make you look more beautiful than you thought. Chin length bob maybe for you if you are okay with wearing your hair short. It will help preventing your chin from appearing pointed and also assist in widen your jaw. Even if you have fine hair, this cut would work because it adds volume and gives an illusion of thick locks. You can also add a block bang to this. This is a perfect hairstyle for girls with shaped face. Tousled waves also help to soften the angles on a diamond shaped face. It looks good on almost everyone and also helps in adding volume to thin hair. This style is simply meant for you if happen to have the genes for a diamond shaped face paired with thin hair. 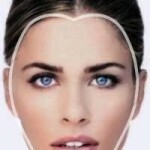 You should avoid any kind of hairstyle that will add up length to your cheekbone. You should also avoid short hairstyle that add length to the top. You want to avoid adding too much height, particularly if you don’t have a fringe/bangs. Don’t go for hairstyle that add much volume to your side because it will widen your face and draw attention toward that area which is what you don’t want to be noticed. With all these said here, I hope you can find the best hairstyle for diamond face shape and give yourself a perfect look.